We Provide Merchant Accounts for hard to place & high risk businesses. When you submit your application, you'll get an instant price quote to DocuSign. No offline paperwork, no faxes, no waiting. When you call or email, you'll always speak to our friendly support team, based in Houston, TX. 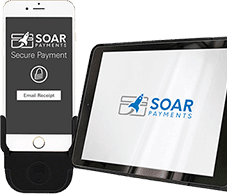 ​​​​What Industries Does Soar Payments Serve? Check out the complete list of which industries we do, and do NOT, serve. 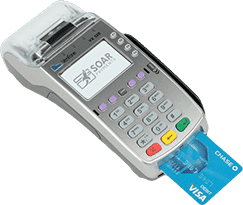 Retail businesses can choose from a traditional credit card terminal, wireless, or point of sale system. Whatever you choose, our retail merchant accounts will have you accepting credit and debit cards faster, and for less. 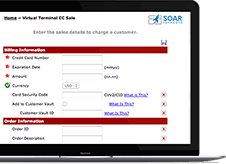 Accepting payments over the phone, mail or typed in on your laptop is easy with our virtual terminal merchant accounts. No equipment needed. Just log in to your virtual terminal, and type in the customer's credit card. 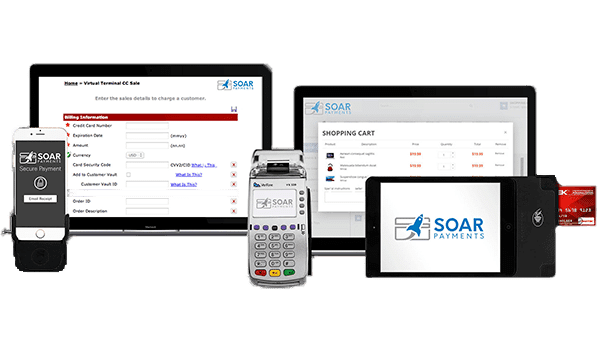 ​Want "on the go" mid or high risk credit card processing? Our mobile pay options are for you. Choose between iPad or mobile phone credit card swipers, compatible with both iPhone and Android devices. Selling online? 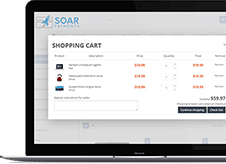 Our easy to use payment gateways are compatible with, and simply plug in to most major shopping carts. 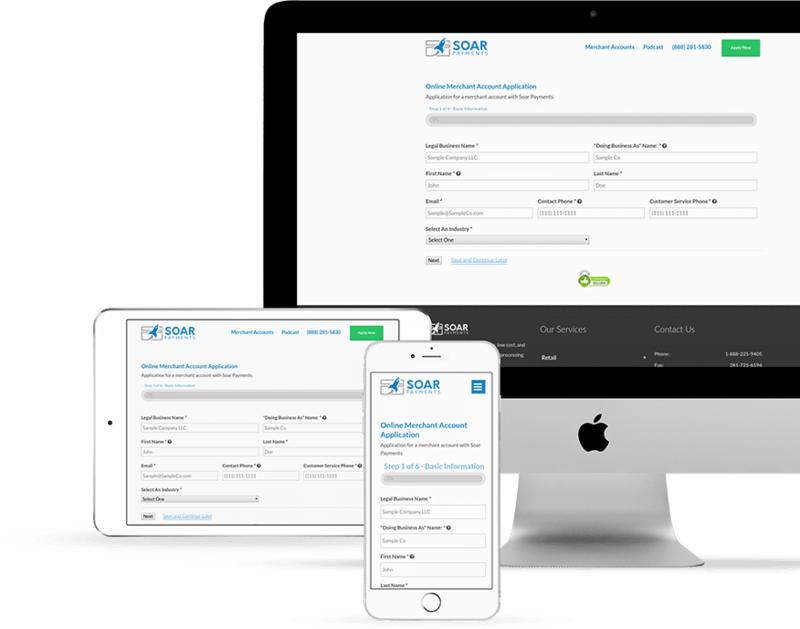 Our mid and high risk merchant accounts are streamlined for eCommerce businesses. Complete POS for retail businesses and quick service restaurants. The perfect all-in-one terminal for your business. 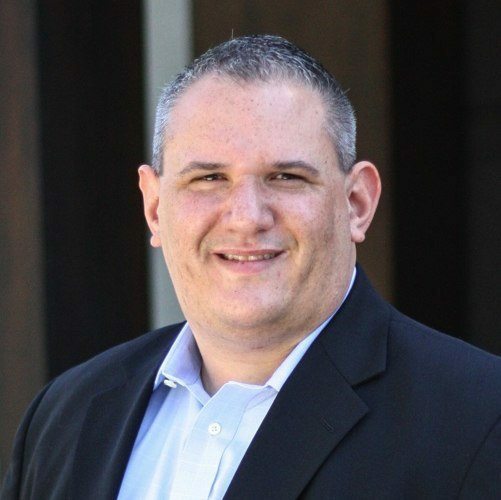 Hi, I'm Adam Carlson, the CEO of Soar Payments. The best part of working in the payments industry is all of the wonderful, hard-working business owners I meet. I believe a successful business is built on relationships, service, and trust. As such, I welcome the opportunity to earn your business.  The Three Guarantees below are not just "marketing speak": these guarantees are internal commitments, which we use to ensure that every client receives incredible value. If there's anything I can do to help make your decision easier, please don't hesitate to get in touch. When you submit your application, you'll get an insta​​​​nt price quote to DocuSign. No offline paperwork, no faxes, no waiting. ​You will automatically receive Industry Minimum Pricing in your online quote. No more frustrating haggling with sales reps.
​When you call or email, you'll always speak to our friendly support team, based in Houston, TX. Application Secured By SSL Tec​hnology.